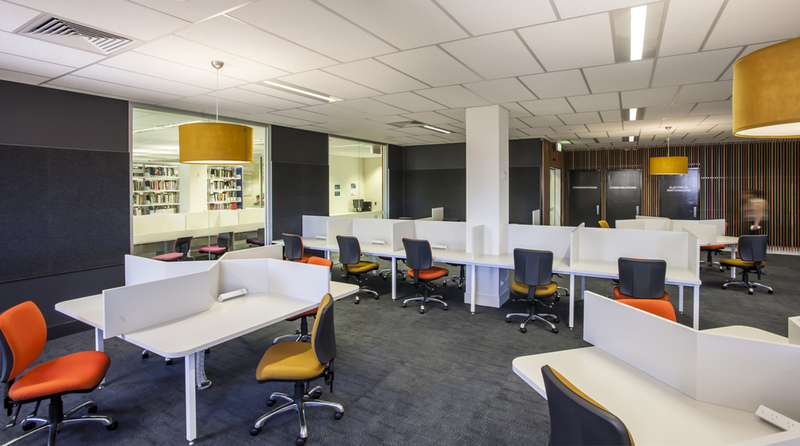 Wilson Architects was engaged to transform an area of existing administrative offices into an extension of the Library study areas on Level 4 of Bond University Main Library. 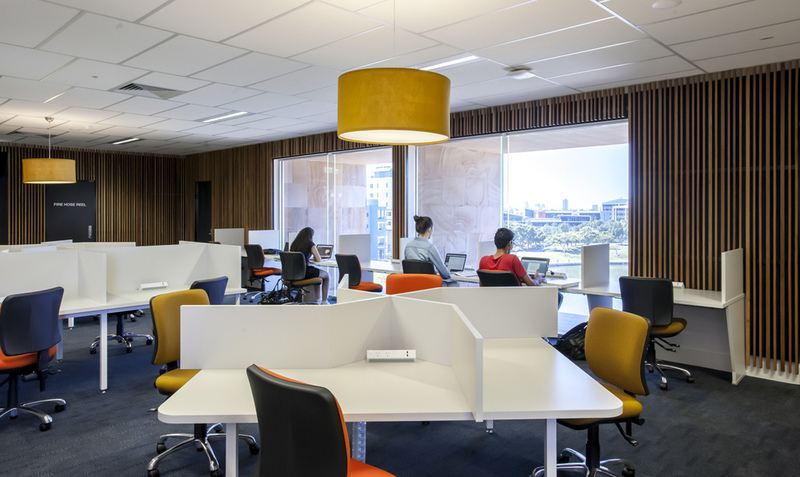 The existing study spaces on Level 4 is expanded with a silent study room for over 80 students, with spectacular elevated views of the lake and water feature, the central focus point for the campus. The brief required the maximum number of seats whilst preserving the significant views from this library study space. A high level of acoustic separation from the existing group study rooms, lifts and circulation paths was an important consideration. The addition of extensive areas of timber battened wall treatments provides a degree of acoustic absorption that maintains this large study room as a comfortable and inviting silent study venue for students, including access to power, USB charging points at all desks and wifi throughout for charging and connecting mobile devices.